Is A Mini-Facelift Right For Me? Are you unhappy with your tired, sagging facial appearance but not sure you want to undergo a full facelift? A mini facelift may be an excellent solution. 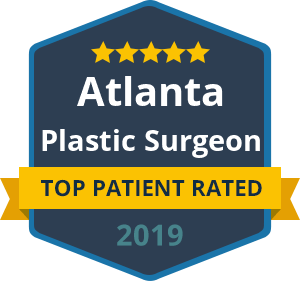 It is commonly called the “weekend lift” or the “band-aid facelift” and it allows patients to gain a rejuvenated look with less recovery time and less money. Depending on your specific target areas, the Mini-Lift is performed through a small incision under the chin, above the ears or nape of your neck. The incision technique may be the S-lift, which begins near the hairline in front of the ear and forms in S to end just behind the earlobe. In other mini facelift variations, such as the short scar facelift, the incision ends right at the earlobe, rather than extending to the area behind the ear as it does in a standard full facelift. Through these small incisions, the underlying tissue is lifted to a more youthful position and the skin is tightened. This can effectively smooth out smile lines and wrinkles in the lower face and create a firmer jaw line to turn back the hands of time. Both men and women benefit from this less invasive facelift procedure, gaining long-lasting results with discreet incision lines. With the Mini-Lift, patients do not experience the excess swelling or bruising that is common from a full facelift. In fact, Dr. Talei of the Beverly Hills Center for Plastic & Laser Surgery can perform most Mini-Lift procedures under local anesthetic, without the use of sedation. The “band-aid lift” is ideal for those that cannot afford to have downtime, but desire a more effective and long-lasting solution than topical creams or injections. Those with pronounced facial aging may need a full facelift to achieve optimal results. However, the Mini-Lift is perfect for those who want to address early signs of aging without the cost and time of a traditional facelift.